Place whipping cream, liqueur and syrup in large bowl; refrigerate. Heat oven to 350°F. Cut butter into flour in medium bowl, using pastry blender or crisscrossing 2 knives, until evenly mixed. Stir in nuts. Press evenly in bottom of ungreased square pan, 9x9x2 inches. Bake about 15 minutes or until light brown. Cool completely, about 30 minutes. 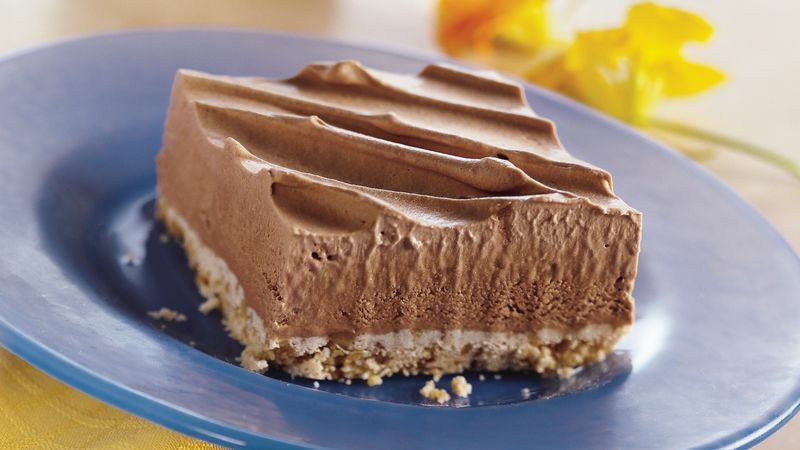 Beat whipping cream mixture with electric mixer on high speed until stiff; spread over crust. Cover and freeze at least 4 hours until firm. For serving pieces, cut into 3 rows by 3 rows; serve immediately. Store covered in freezer. When the occasion calls for over-the-top decadence, drizzle caramel topping over servings of frozen dessert, and sprinkle with coarsely chopped chocolate-covered espresso beans. Are you an instant coffee drinker? Use 1 tablespoon of your favorite international instant coffee mix (dry) instead of the 1/4 cup coffee-flavored liqueur. Brrr! Whipping cream whips up best when it’s chilled. By refrigerating the whipping cream mixture, you’re also chilling the mixing bowl. For even better results, chill your beaters, too.